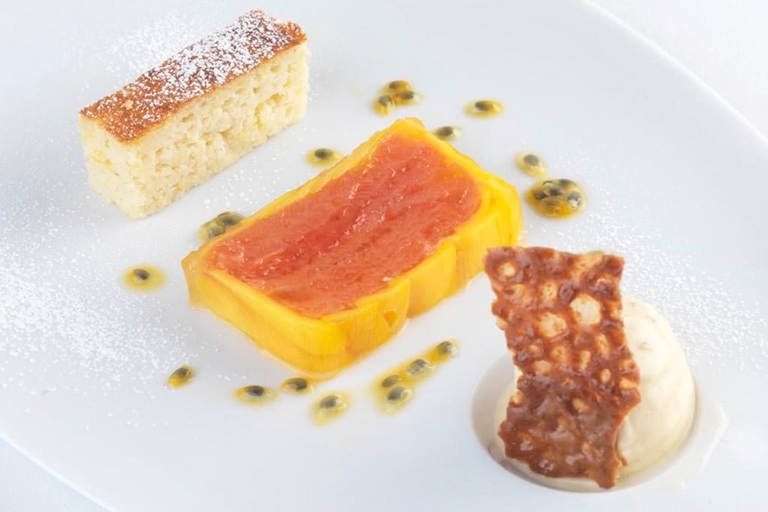 This grapefruit and mango terrine recipe includes some dainty accompaniments. The creamy ricotta cake and warming ginger ice cream help to balance the sharpness of the terrine. It's an unusual dessert from chef Francis Atkins.